A convicted murderer who was out on bail is accused of breaking into his former girlfriend’s house, murdering her and then eating her heart, lungs and brain. 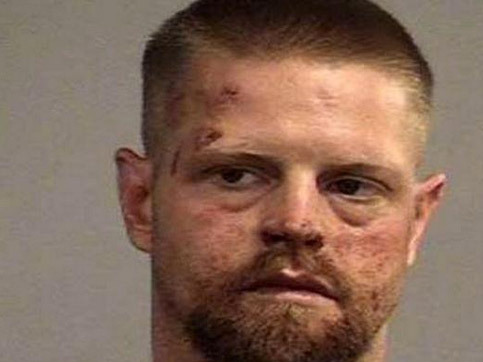 The New York Times reports that Joseph Oberhansley (33) allegedly tried to break into his ex Tammy Jo Blanton’s house in Jeffersonville in the early hours of the morning. The police were called but left after being unable to find any sign of a break-in or intruder. Joseph then allegedly returned to the house to carry out his gruesome deed. Concerned colleagues called 911 when Tammy Jo failed to turn up for work the following day. Police went back to her home to investigate and found her mutilated body under a canvass in the bath. Tammy Jo (46) had suffered fatal wounds to her head, including a fractured skull, and to her neck and torso. But much more shocking was the plate and cooking implements covered with her blood and bits of bone. The police also found some of her body tissue in a dustbin. Oberhansley was still in the house and was taken into police custody. He has been charged with murder, mutilation of a corpse and breaking and entry. He also admitted cooking and eating a part of her brain, according to the arrest report.